English (drums). They started a few years ago after studying at the University. the heads of Warp Records. This label is known as a mostly electronic label. you find out about him? way. He is an English artist. AL: Are you all from Newcastle? I used to see him on billboards. He is in Green Day videos now. AL: Newcastle is one of those university towns. school, starting a band seemed like the next logical choice. 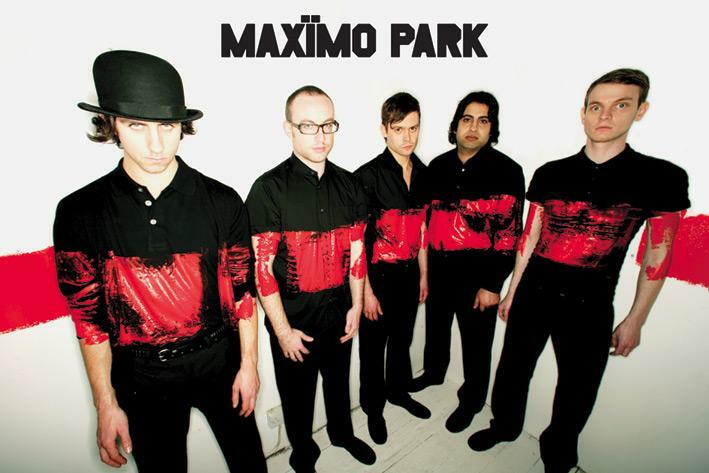 AL: Did everyone from Maximo Park graduate from college? Cormac McCarthy and Don DeLillo. I like Frank O’Hara the poet. AL: That is the good stuff. When did you start Maximo Park? Records since July 12th, 2004. We were together two years before the record deal. used to share the vocals. They used to write songs and each sing their own songs. music. They were a little like Super Furry Animals. I saw them play in Newcastle. Paul: You have broken me down. I do like a direct esthetic that has layers. feel like they were heading in the right direction. of the riots in Paris in 1968. It’s about excitement. AL: Where do all the hipster hang out in Newcastle? leftfield electronic music. We know bands like Plaid, Autechre, and Aphex Twin. Is it odd that Maximo Park is also on this label? moment. We felt like our music stands out. We know that we would stand out on Warp. have never been used in a pop song. AL: Does the band have any shared influences? experimental minimal things. I like traditional music. I bought a doo-wop CD. balance with sad lyrics and an upbeat melody. direct. I don’t think that the Kaiser Chiefs are writing really emotional lyrics. AL: Kaiser Chiefs seem like they have listened to Parklife too many times. going to let that go. AL: What other bands are you playing with? three shows with Bloc Party. We toured late last year with The Futureheads. we can invite other bands with us. AL: Are there any new up and coming bands? used to be in Field Music. It’s like chamber pop. It is brilliant orchestration. time signatures. It’s really sweet music, like Big Star and the Beach Boys. fans, if you have Field Music opening up for you all the time? quite genuine people. There is not much that in music I suppose. of the music of Gang of Four. There is a bulimical element to the vocals. Field Music writes songs about their feelings the same way that Maximo Park does. AL: That’s why I like some of these newer bands like The Rakes and Art Brut. everyday life, much like the poetry of Frank O’Hara. AL: Have you already started the next album? become Maximo Park songs. We will need time for that to take place. AL: Have you been to other countries? AL: Did you go to festivals when you were younger? AL: Have people been misguided in some way with Maximo Park?